Alaska Airlines began daily service between Seattle and Tampa, Florida, on June 20 – the first nonstop flight to link the cities, which cuts a few hours of flight time for tourists and business travelers. Aboard the 5-hour-40-minute inaugural flight, my wife and I left our kids and escaped for a quick two-night trip. At a welcome celebration that featured live pink flamingos and a reggae band (“Don’t worry, be happy – Alaska Airlines is here!”), Tampa airport leaders boldly proclaimed that Northwest residents who experience Florida’s beaches won’t want to go back to Hawaii or Mexico. 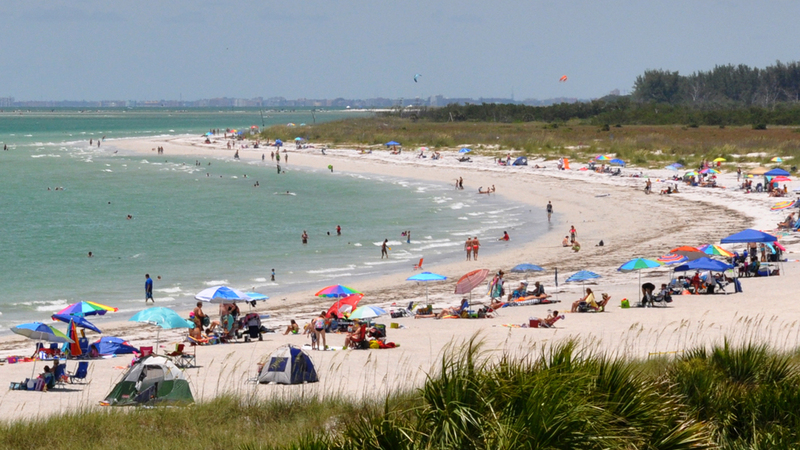 A 30-mile stretch of talcum-powder beaches, 89-degree Gulf water and almost-guaranteed sunshine are the biggest draws to the Tampa Bay Area. The city of St. Petersburg claims to average 361 days of sun a year. The resulting popularity of the beaches made it hard to escape the high-pitched hum of WaveRunners and a plane circling with a banner that said, “$2 Fireball shots at Sea Hag’s.” You won’t find solitude, but some beaches proved more relaxing than others. Above, white ibises forage along the tideline in a slightly quieter residential neighborhood at the far north end of Clearwater Beach. Beach access points dot the edge of the road that runs the length of the barrier islands. If you want to avoid crowds at the high-rise-lined Clearwater Beach, above, head south to Fort DeSoto County Park, below. We also enjoyed Indian Rocks Beach. At Fort DeSoto ($5 entrance fee per car), the water was calmer and there was more space to spread out. Kayaks and bicycles, below, are available for rent. A nearby snack shack offers food, shaved ice and restrooms. 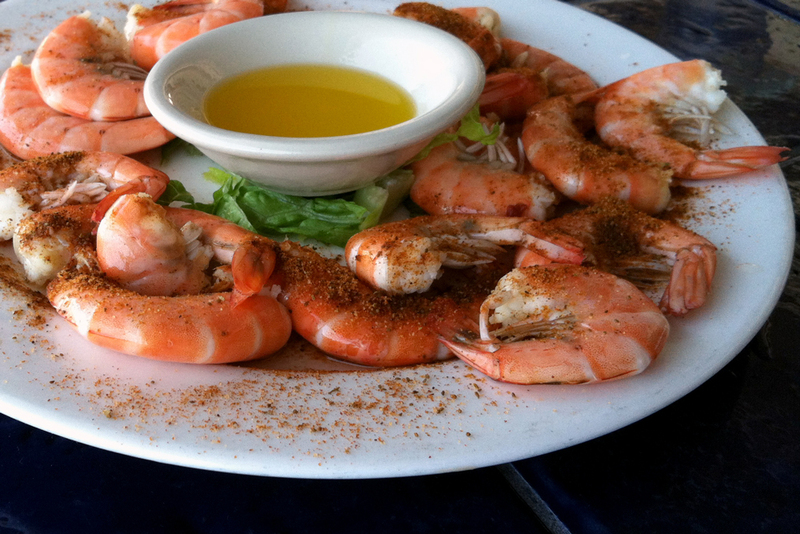 On the way to Fort DeSoto, The Island Grille in Tierra Verde offers peel-and-eat shrimp (seasoned with Old Bay) that paired well with a crisp Florida Avenue Ale from Tampa. Don’t be turned away by the strip-mall storefront – head around back and you’ll find a second-floor patio with a breeze and water view, below. 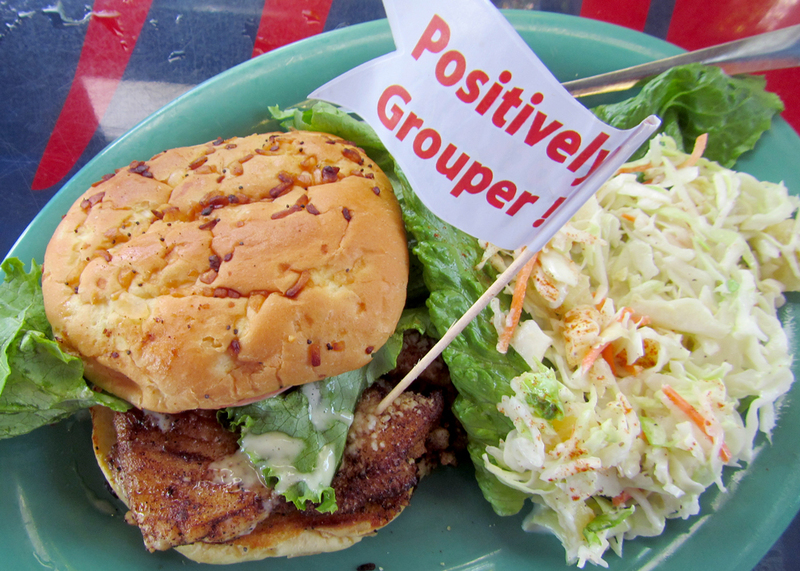 Just as the Pacific Northwest is famous for salmon, the Gulf Coast of Florida is known for grouper. Among the many fish shacks along the coast, one recommended spot was Frenchy’s, a local five-restaurant chain with its own fishing fleet. 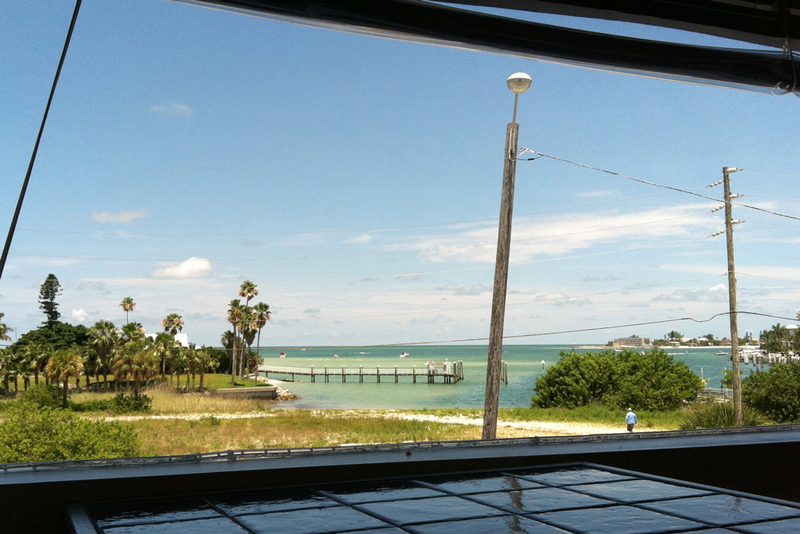 We ate at the laid-back Frenchy’s Saltwater Café in Clearwater Beach. Although not on the water, the atmosphere was family-friendly and the food was fresh and tasty. The only downside was they didn’t have any local beers. It’s pink, because it’s Florida. The Vinoy is a historical hotel on the bay in downtown St. Petersburg, a centralized 30-minute drive from Tampa and another 15-minute drive to St. Pete Beach. The lobby displays Washington glass artist Dale Chihuly’s work, which is also featured down the block at the Chihuly Collection gallery. 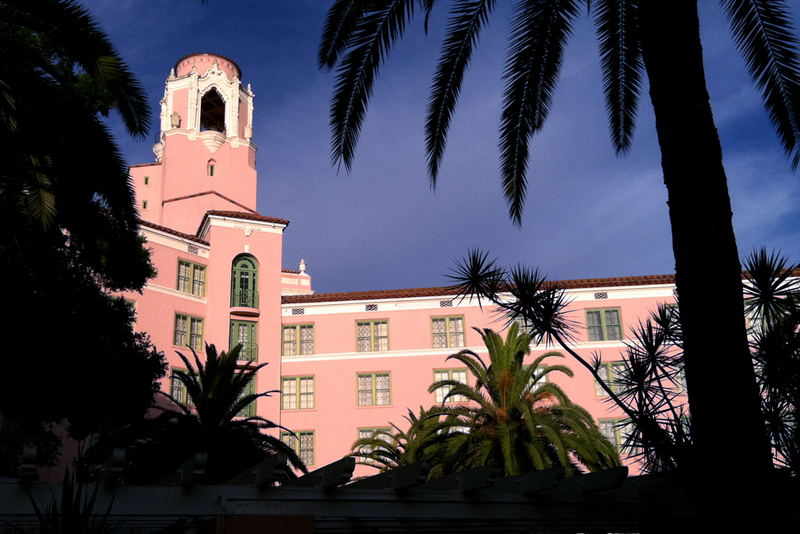 The Tampa Bay Area’s other historic pink palace is the oceanfront Don CeSar in St. Pete Beach. People with kids might prefer to stay in Tampa, closer to attractions, or at one of the many motels and hotels along the beach. 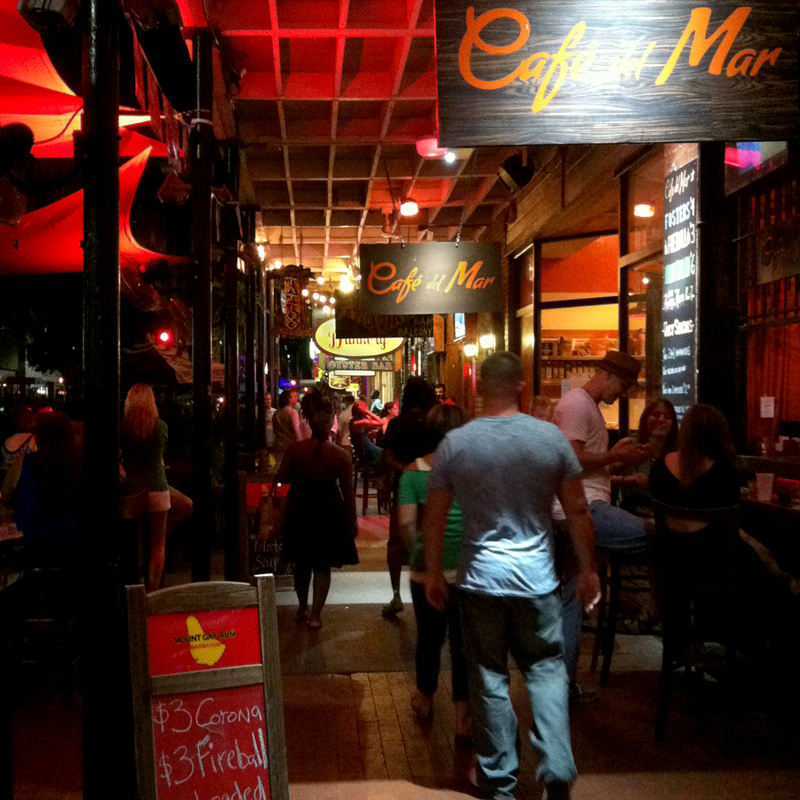 Nightlife in downtown St. Petersburg is centered along the palm-lined Beach Drive, and a few blocks up Central Avenue. Restaurants and clubs literally spill out onto the sidewalk, with umbrella-covered outdoor tables perfect for people watching. If you were expecting flip-flop-friendly Key West, you might be disappointed. Some of the clubs feel more Miami. If you’re not looking for a “see and be seen” scene, check out The Moon Under Water. Bars can stay open until 3 a.m.
To celebrate the World Cup, I ordered a caipirinha (below left), Brazil’s national drink, at the lobby lounge at the Vinoy. We enjoyed dinner and drinks at Ceviche, a Spanish tapas restaurant and bar that offers more than 100 small-plate items. Sit inside for air conditioning, or lounge at outdoor patio tables if it’s not too hot. 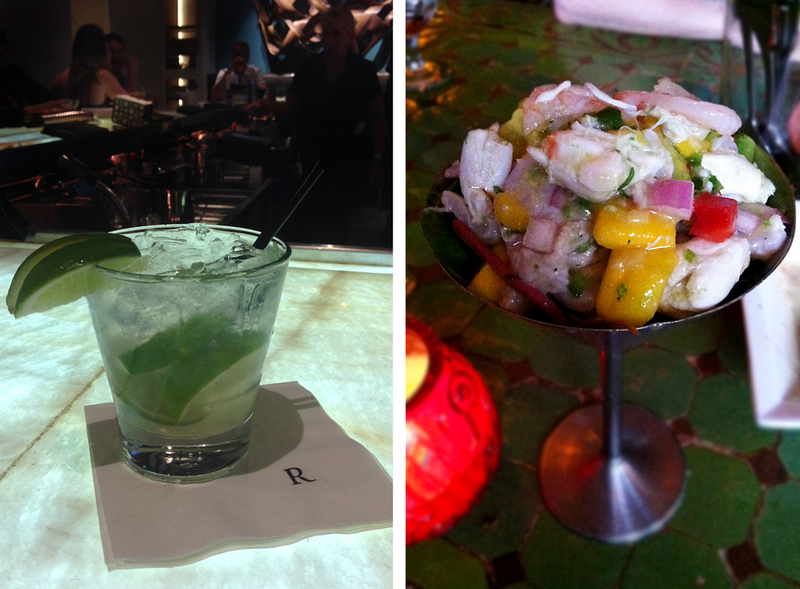 Don’t miss the dish for which the restaurant is named: six ceviche options are on the menu. We enjoyed a seasonal special, above right, that featured crab, shrimp, white fish, mango, avocado, ginger, cilantro, red onion, red pepper and, of course, lime, served in a chilled metal cocktail glass. Five small plates were more than enough to be shared by two people. Chill out with a glass of sangria or a pint of Jai Alai India Pale Ale from Tampa’s Cigar City Brewing. Tampa’s Ybor City is a historic district known for Cuban culture, handmade cigars at shops such as King Corona Cigars Cafe & Bar, pictured above, and a vibrant nightlife, including GaYbor Days in May. 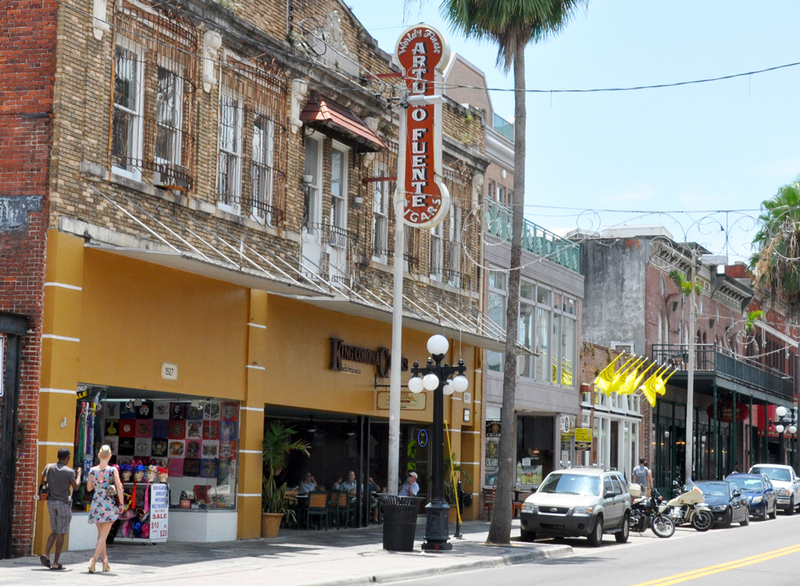 The Columbia Restaurant has been an Ybor City landmark since 1905. 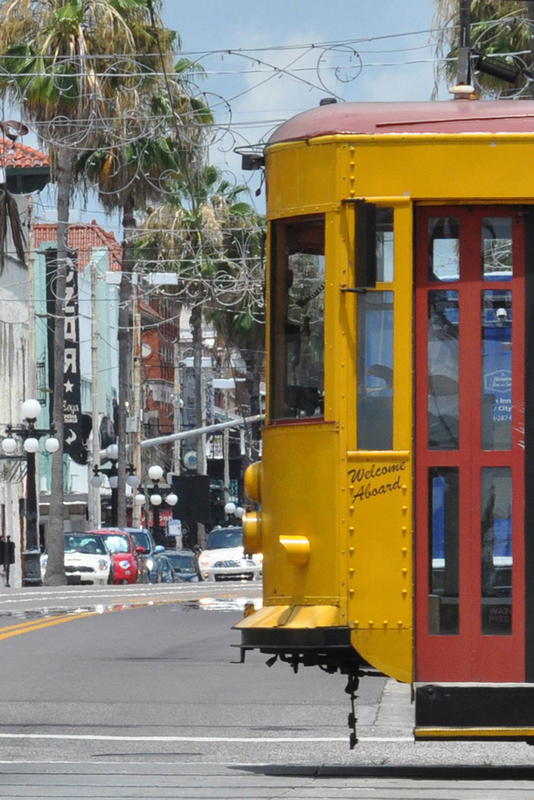 Air-conditioned streetcars run between downtown Tampa to Ybor City. 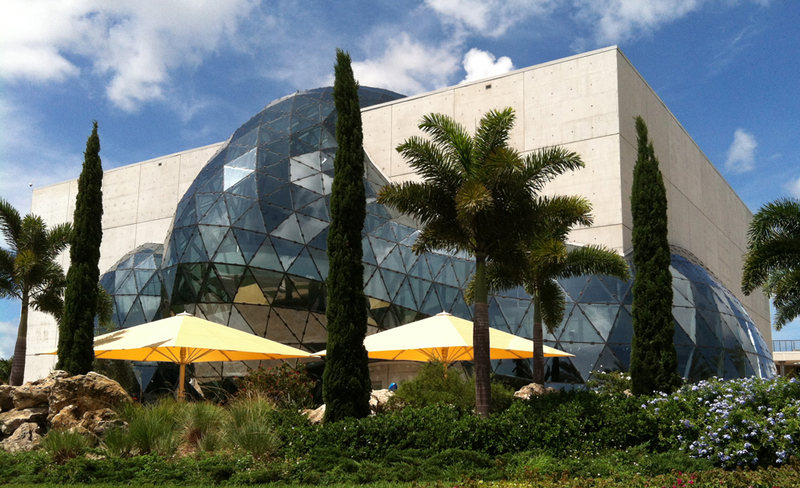 The Dali Museum in St. Petersburg features a collection of works by the Spanish artist, including an example of the famous melting clock and the well-known “Gala contemplating the Mediterranean Sea Which at Twenty Meters Becomes the Face of Abraham Lincoln,” below right. 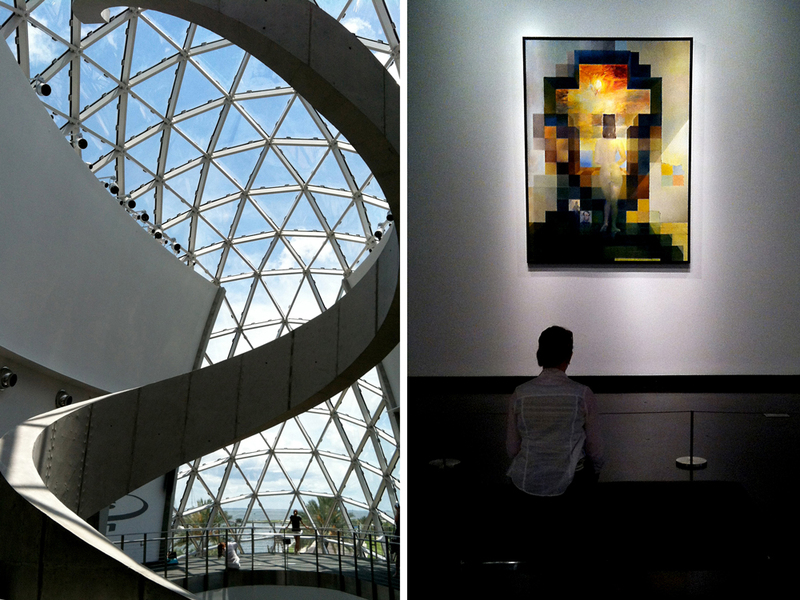 The building itself is almost as interesting as the paintings, with a geodesic glass bubble rising three stories, and a spiral staircase that winds its way to the top floor. As far as vacationing with children, Tampa is about an hour-and-a-half drive to Orlando. Fly into one city and out of the other to combine a beach vacation or cruise with a few days at Disney World. 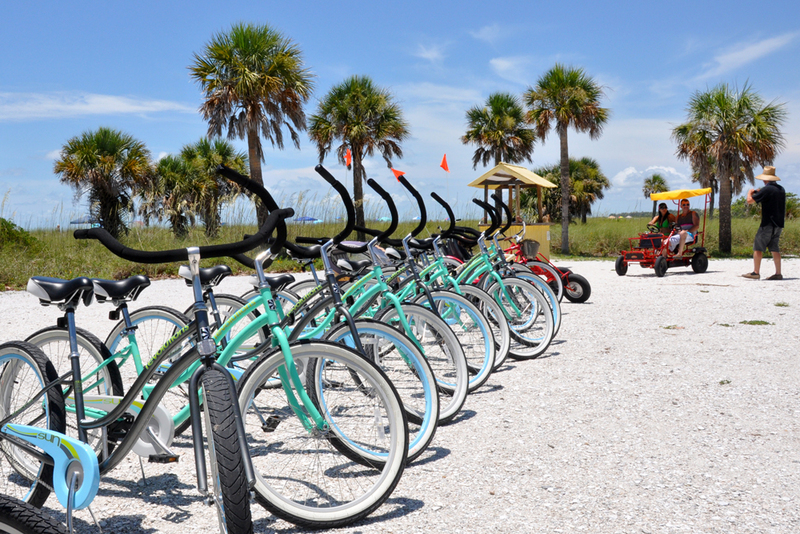 Do you have any Tampa Bay Area travel tips? What do you recommend? Share below in the comments. 1 comment on "From Seattle to sunshine: 5 things to explore in the Tampa Bay Area"